Impressive stuff. 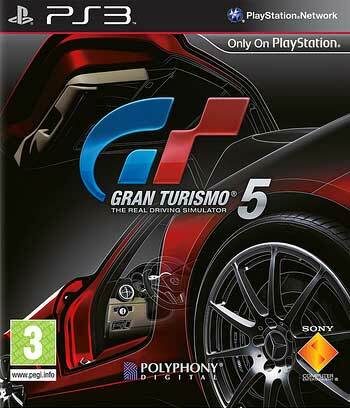 Can’t wait for GT5 to be released. Read on for the video. Toyota Motor Corporation and “Gran Turismo” on January 15, was held at the Makuhari Messe in Chiba Prefecture, “Tokyo Auto Salon 2010 with NAPAC” vehicle information and announced a collaboration on a new site using GPS coordinates. This collaboration is used to control the real world automotive vehicle CAN (Controller Area Network) using the GPS information and location information, “Gran Turismo” in real time to visualize what that is driving the vehicle. CAN export to USB memory location information and that information, “Gran Turismo” and loaded into a simulation engine, “Gran Turismo” was visualizes as a video replay, you can also play as a ghost, help you analyze your driving or you can. CAN has the right to information about G Force and handle and brake, accelerator operations, and includes rotational speed of each wheel and engine speed, allowing a highly accurate reproduction of the combination of vehicle and locationinformation . Venue with the Toyota booth at the stage of the vehicle to the 2009 Super GT Fuji Speedway was the American champion Juichi Wakisaka IS F data actually ran in “Gran Turismo” on reproduction. And the actual practice of “Gran Turismo” By comparison with on-screen video reproduction has demonstrated the high accuracy. Please expect us in the new efforts of both companies.